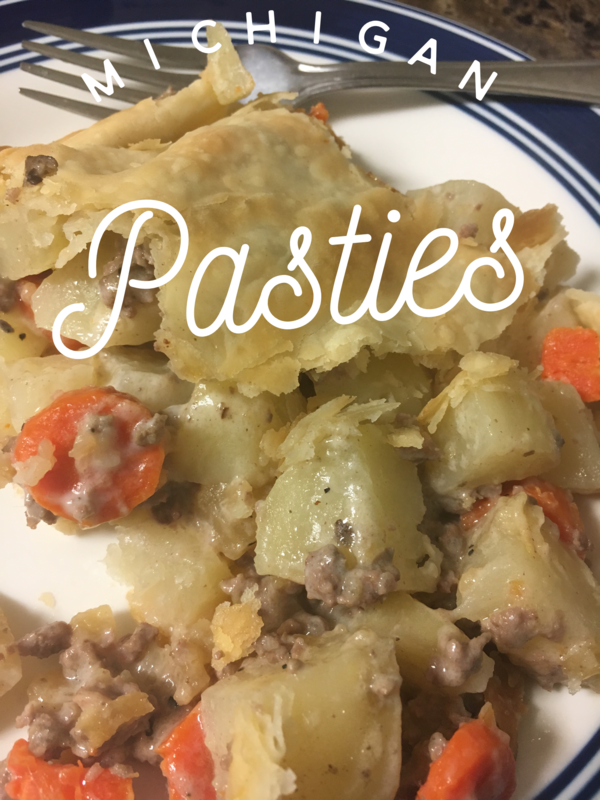 This is an easy version full of flavor of one of my favorite winter comfort foods! Cut up all potatoes, rutabaga and carrots. After I finish chopping one I place them in a microwave safe bowl filled half way with water and microwave 5 minutes to soften them up, once done microwaving drain the water and place in bowl, continue this with all vegetables or if you wish to wait and microwave them all at once microwave them about 8 minutes or more pending on your wattage. (I prefer to soften to cut down on baking time) If you are using canned rutabaga do not microwave them, just drain and wait until it’s time to mix into the mixture. Cook ground beef, drain grease. Add in cream of mushroom, vegetables and salt & pepper and mix well. Place one pie crust in the bottom of a greased 9×13 baking dish and pour in meat mixture. Place remaining crust on top of the meat and connect the two crusts together. Remove foil and bake for 18-20 minutes or until crust is a light golden brown. 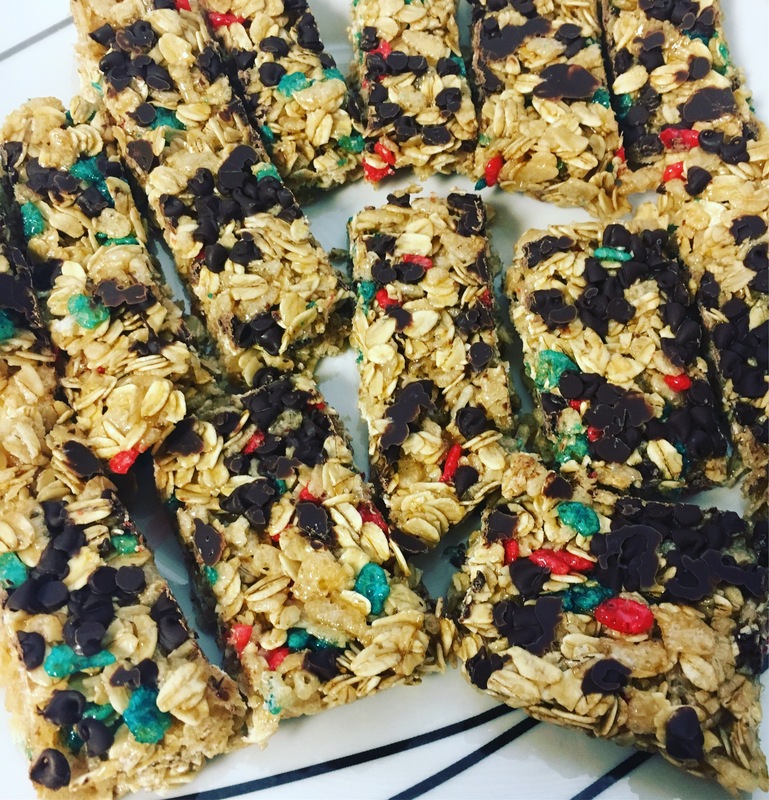 Easy peasy and delicious, our whole family loves this recipe! Did I just say Tacos 🌮 AND Pizza 🍕? Yep! 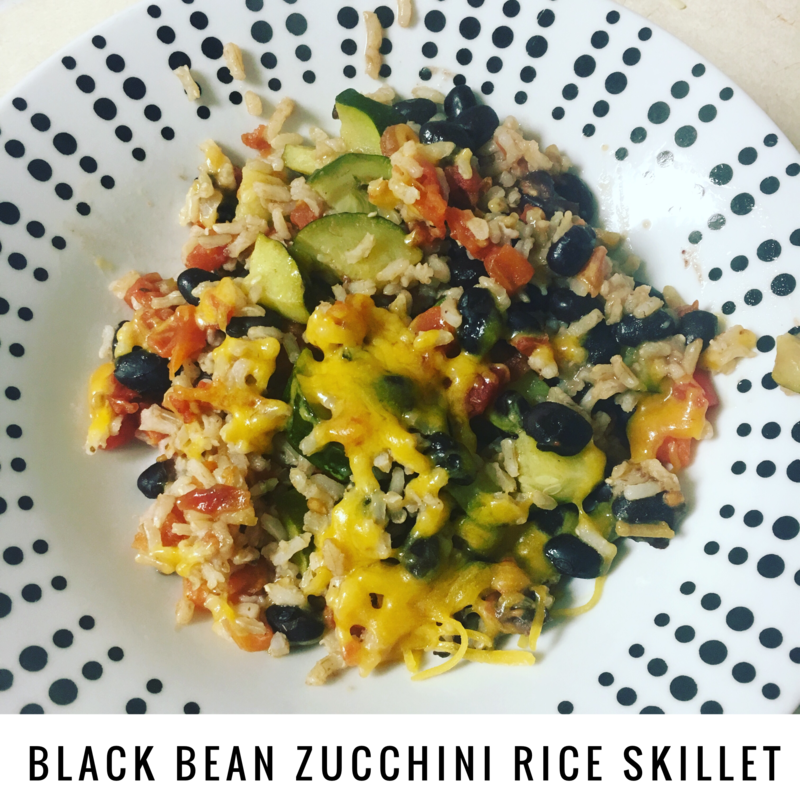 Let me tell you.. this is really good, my picky kids like it and lately it’s been a challenge finding anything they “like”! This is so simple to make and quick too, this would also be great to take to a party /potluck. Note: Olives, onions, avocados, would also be great toppings! Preheat oven to 350. Spray olive oil/cooking spray or lightly grease baking sheet and unroll crescents, use your hands to mend them together. Bake 5-8 minutes or until golden brown. Take out of oven and allow to cool. (I was in a hurry so I put mine in the freezer for about 5 minutes). In a bowl combine cream cheese and sour cream, with a mixer mix until spreadable. Set in fridge to chill while you are cooking the ground beef. Cook the ground beef, drain grease, add in Taco season, mix well and allow to cook another 2-5 minutes. 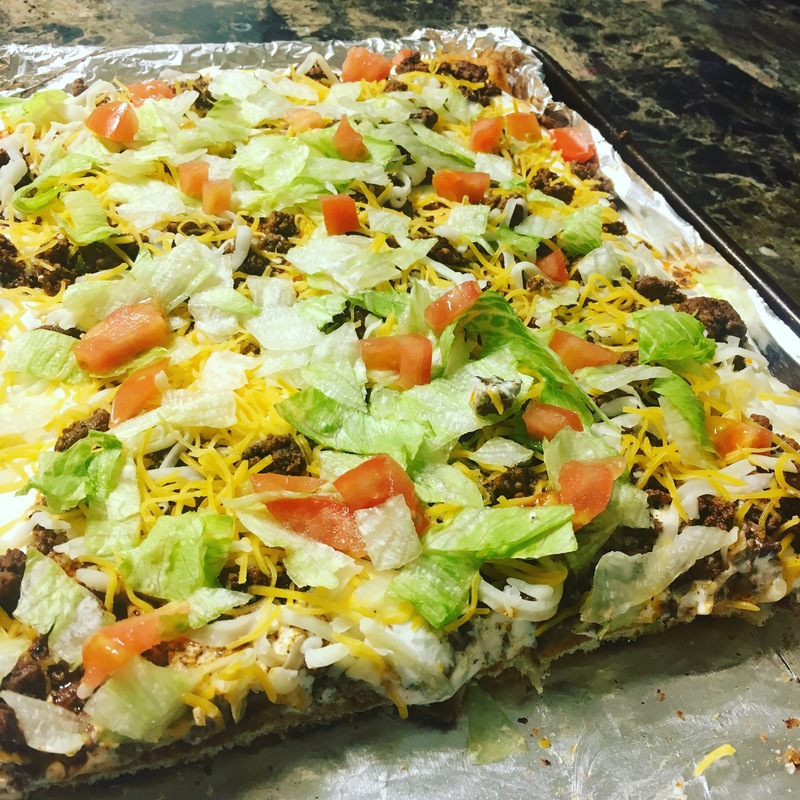 Spread cream cheese mixture onto the crust, then top with ground beef, cheeses, lettuce and tomatoes. Cut into 8 large pieces or 12 smaller ones! 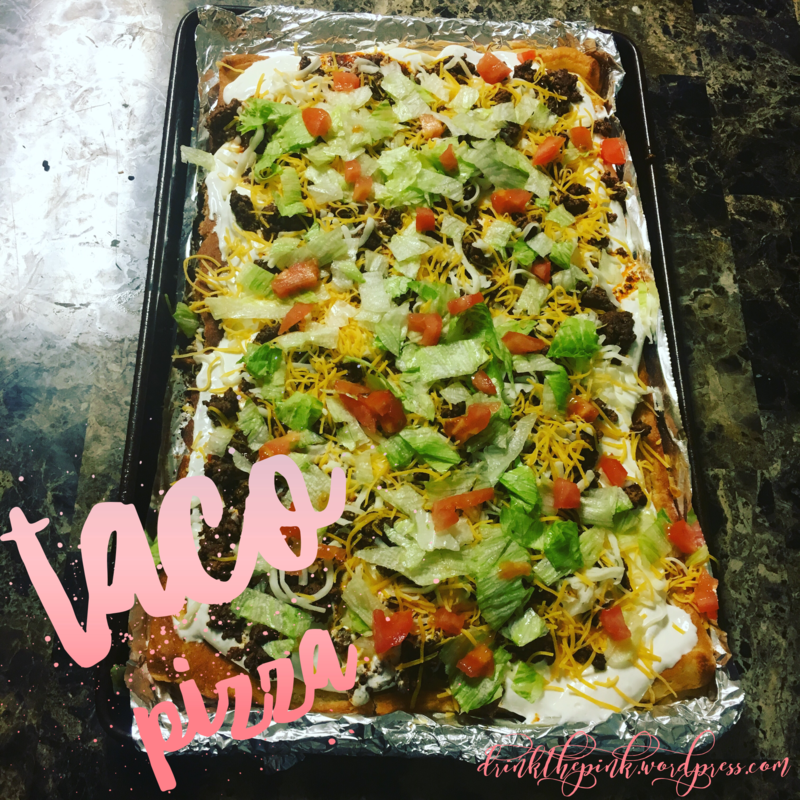 Easy.. delicious and so convenient! 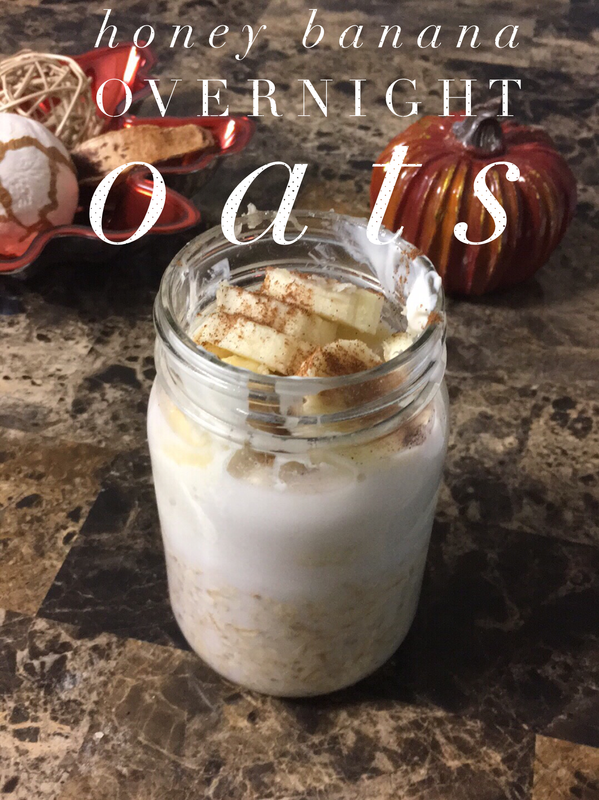 Layer oatmeal, yogurt, pour in milk, add bananas, cinnamon and honey to top.